As far as luxury city hotels go, the new St. Regis Bangkok is pretty much as good as they get, with a world of well-appointed convenience and luxury on offer to guests lucky enough to stay here. This luxurious world is a world where every room gets complimentary well-made coffee and tea and on request at any time of the day; a world where every room category comes with its own on-call butler; and a world where high-class amenities appear alongside top food and beverage outlets and expedient business facilities. The 176 guest rooms and 51 suites range from 45 to 250 square-metres, and all come equipped with DVD players, LCD televisions, a multimedia hub, wifi internet and floor to ceiling windows which bring unobstructed views of the city skyline into the rooms. Unique to Bangkok and pretty new to Asia as well is the St. Regis butler service, which is easily the highlight of the hotel. The indulgent services on hand for all guests include packing and unpacking, garment pressing, bathtub preparation and beverage service as well. In addition to the refined service, there are also a collection of fine dining outlets serving up cuisines from all over the world ranging from Japanese at Zuma (imported from London and Hong Kong), Italian at JoJo (named after one of the founders, John Jacob Astor) and international at Viu (which offers sweeping views of Bangkok). There is also a wine bar, a poolside bar and the St Regis Bar. Recreational facilities include the first Elemis Spa (1 of 4 in the world) in Southeast Asia, an outdoor swimming pool and a gym. If it is work guests are visiting for though, the hotel comes equally equipped for business as well as leisure. Equipped with the latest technology, the 1,515 square-metres of flexible meeting space ensure large and small business groups can be graciously accommodated at any given time, and the highlight of these is the elegant and sizeable 515 square-meter Astor Ballroom. There is also a designated business centre, plus plenty of parking spaces as well. 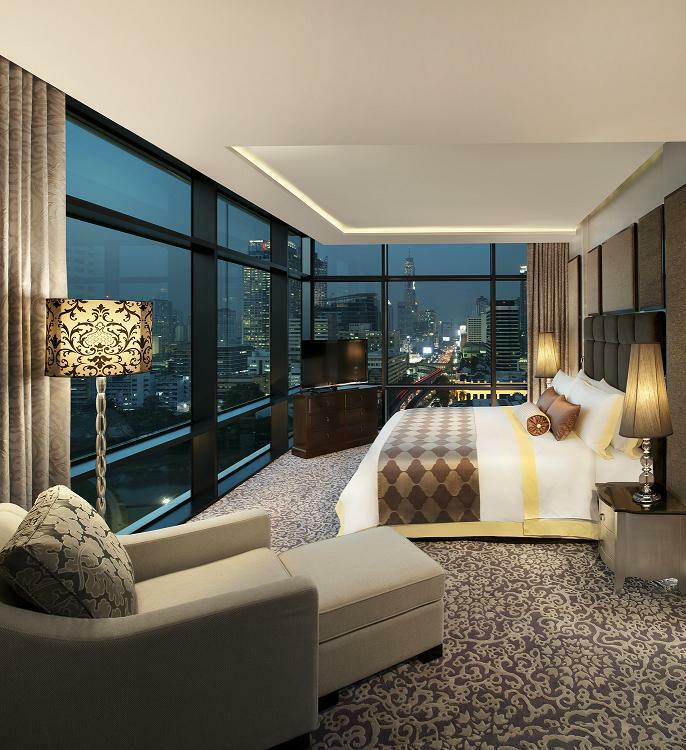 For longer-staying guests and those in the know there are also super-luxe residences at the top of building the hotel which are frequented and inhabited by the upper crust of Bangkok. It is no wonder that these types visit the property though, as the design is incomparable. Overseen by the leading New York-based Brennan Beer Gorman Architects with interior design by Studioaria, the property was designed as a contemporary abstract monolith and it features emotion-injected motifs and detailing. If one is in Bangkok on business or simply looking to impress a client, one could do a lot worse.